Tehran’s provisional Friday prayers leader highlighted the US’ successive defeats in the face-off with the Islamic Republic, saying Washington has emerged the loser even in the public diplomacy arena. 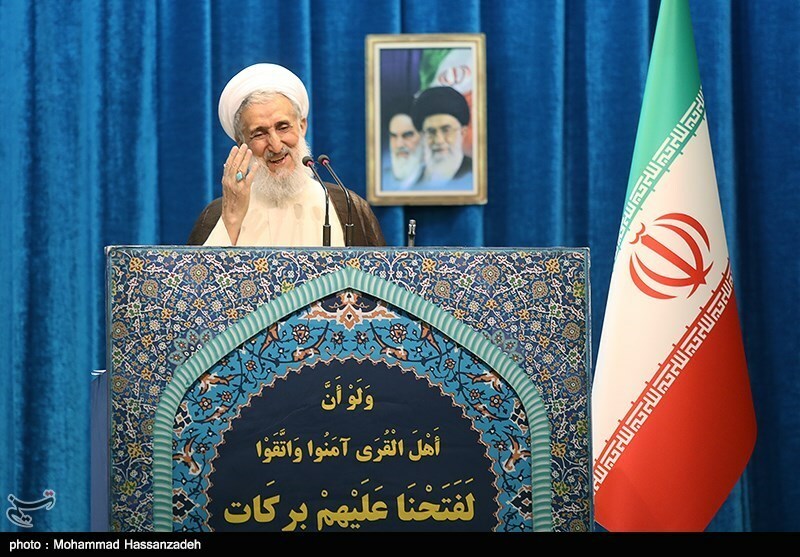 Addressing worshippers in Tehran on Friday, Ayatollah Kazem Seddiqi said the US has lost its influence in the world and suffered defeats in the public diplomacy sphere. The global hatred of the US has mounted, while Iran’s popularity has soared by the expansion of the axis of resistance front and the defeat of the Daesh (ISIL) terrorist group, the cleric added. “Over the past 40 years, the US has attacked us, imposed the (1980s) war on us, and waged any propaganda and economic war against us that they could, but in this encounter, the real victor has been the Iranian people and the Islamic Revolution,” Ayatollah Seddiqi stated, adding that Iran’s regional influence is also growing. The purpose of the US economic war and sanctions against Iran over the past 40 years has been to cripple and stall the Islamic Republic, the Leader said, adding that what has happened in reality has been against the US will, as Iran has been moving towards self-sufficiency and domestic production has accelerated in the country.